i know my passion and i feel my calling: to document everyday life and remind people of its magnificent significance. i mean–so many people are so willing to pay thousands of dollars to capture one day–like a wedding– but why don’t people see that everyday moments are much more precious? the first time your child walks, sitting around cuddling with your children, your dog or your significant other, a hike in the beautiful mountain sun. these are often precious moments that go by unnoticed. walking through the park holding hands while the wind gently blows your hair to the side, a hour full of giggles during a rountine bubble bath. a ray of sun touching your cheek while you and your family enjoy a picnic in the park. these are the days and the times to remember. i want to be the photographer people think of when they want to relive everyday moments. i want people to look back at the images and remember a place and time in their lives–not matching outfits and fake smiles. 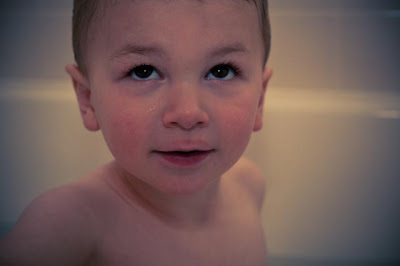 last night i had a blast with my son just watching him enjoy his bubble bath. i grabbed my 60 mm macro ( i affectionately refer to it as 60 mac) and my new sb 900 and got wonderful images to remember our evening ritual. perfect. Please, PLEASE post this on next week’s Perfect Moment Monday. You just said so eloquently what the essence of PMM is. To stop and notice. 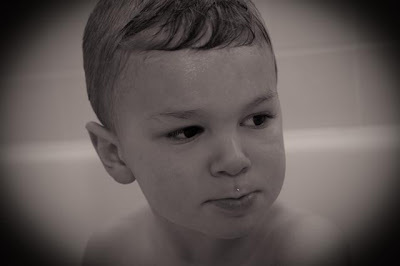 Gorgeous pix of a gorgeous boy (by a gorgeous mom!). Wow, so timely to read this. I was just thinking this morning about how many moments, everyday, beautiful moments have already passed with my son that have gone undocumented and will someday be forgotten. I was thinking about how I wish I could capture the small special moments with him like the silly songs I make up, his toothless infant grins, our cuddle time, our adventures at the grocery store…etc etc. 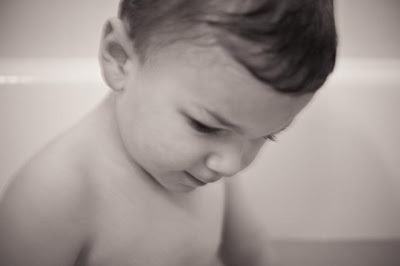 I love to write, but motherhood just seems to leave so little space to stop and write these moments down. And some times, words simply do not suffice. I think you have an amazing gift and an amazing calling. Your photos are capturing essential parts of stories that might go untold otherwise – the everyday stories, the ones we forget later but are the ones that eventually make up the core of our lives.